Conn’s started out more than 128 years ago as a small plumbing and heating company in Beaumont, Texas. Today, Conn’s is one of the top consumer goods retailers in the country, with more than $1 billion in revenue and more than 4,500 employees across the southern United States. Our mission is to make it possible for everyone to purchase quality, long-lasting products for their home. Headquartered in The Woodlands, Texas, Conn’s is publicly traded (NASDAQ:CONN) and operates more than 115 retail locations in Alabama, Arizona, Colorado, Georgia, Louisiana, Mississippi, Nevada, New Mexico, North Carolina, Oklahoma, South Carolina, Tennessee, Texas and Virginia. Edward Eastham founded Eastham Plumbing and Heating Company in Beaumont, Texas. 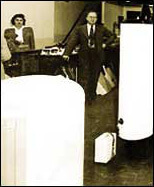 Plumbing and Heating, Inc. hired Carroll Wayne Conn, Sr. in 1933 and subsequently sold the company to him in 1934, and he changed its name to Conn Plumbing and Heating Company. 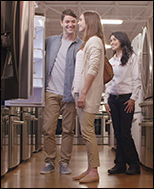 Conn's began selling refrigerators and soon added gas ranges to its inventory. 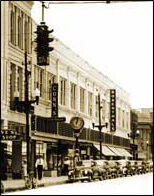 By 1940, Mr. Conn had purchased a store building and moved the company to 268 Pearl Street in Beaumont. The company's second store opened in 1959 on Eleventh Street in Beaumont. C.W. Conn, Jr. joined the company in 1953 after serving in the Korean War. He recognized that customers needed dependable, quality service and founded Conn's repair service and maintenance operations, Appliance Parts and Service, in 1962. C.W. Conn, Jr. co-founded Conn Credit Corporation, a consumer credit company, to provide financing to Conn's customers for the purchase of products they needed for their homes. 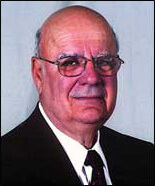 Mr. Conn, Jr. was named president and chief operating officer in 1966 and served in those capacities for the next decade. The year 1966 found the company with four stores and a total sales volume of $4 million. Lake Charles, Louisiana was the site of Conn's first store outside of Texas, which was opened in 1969. Mr. Conn. Sr. and Mr. Conn, Jr. were dedicated to their customers and to the idea that consumers should receive value for the dollars they spent on the products they offered in their stores. Their dedication was so strong that they often directed their employees to seek out unsatisfied customers to find what the company could do to make them satisfied customers. Conn's opened stores in Port Arthur, Orange and Baytown, Texas, as well as one in Lafayette, Louisiana. A second location in Lafayette and new stores in New lberia and Opelousas, Louisiana soon followed. 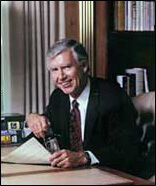 Mr. Conn, Sr. passed away in 1975 and Mr. Conn, Jr. became Chairman of the Board. 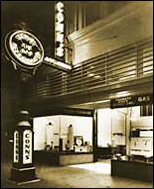 Under Mr. Conn, Jr.'s direction, Conn's first location in Houston was opened in 1983, with many others to follow. In 1993, Conn's experienced its first $100 million sales volume year and opened its first San Antonio, Texas location. 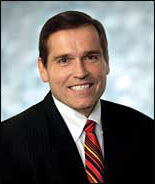 As Thomas J. Frank, Sr. took over as Chairman and CEO in the mid-90's, the company continued its growth trend and established itself as a significant player in the retail sales industry as total sales volume grew to more than $200 million in 1997. Conn's market reach was broadened in 1999, when it opened its first store in Baton Rouge, Louisiana, and again over the next nine years, as it opened its first stores in Austin, Corpus Christi, Dallas-Ft. Worth, McAllen, and Oklahoma City, Oklahoma, respectively. With the company operating in three states, 2008 proved to be a very good year with nearly $1 billion in total revenues. Since then, the company has continued to expand its geographic reach opening stores across the South. 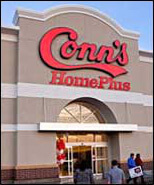 In 2012, Conn’s initiated a new store concept, Conn’s HomePlus®, updating existing stores and restarting store growth. The new, larger store format showcases furniture and mattresses and the latest technologies in home appliances and consumer electronics. In 2015, Conn's appointed Norman Miller to serve as the Company's new Chief Executive Officer and President. Mr. Miller brings more than 30 years of transformational business leadership experience to Conn's. Since 2016, Conn's has opened new stores in Alabama, Mississippi, Nevada, North Carolina, Oklahoma, South Carolina, Tennessee, Texas and Virginia. With our combination of YES MONEY financing, next day delivery and a competitive, desirable assortment of products and brands, Conn’s is positioned for incredible growth over the next ten years.